Copper Harbor… Have you heard of it?… I always associated it with Isle Royale, but during a recent visit, I have found out that it’s more than just a port for Isle Royale ferry. For those of you who have no idea where Copper Harbor is, let me explain. It is a tiny town located far north in the Keweenaw Peninsula (which is part of Upper Peninsula of Michigan). Keweenaw Peninsula is probably in 90 – 95% covered by woods, with few small towns sprinkled (mostly) along the shorelines of Lake Superior. The exception is the college town of Houghton/Hancock. 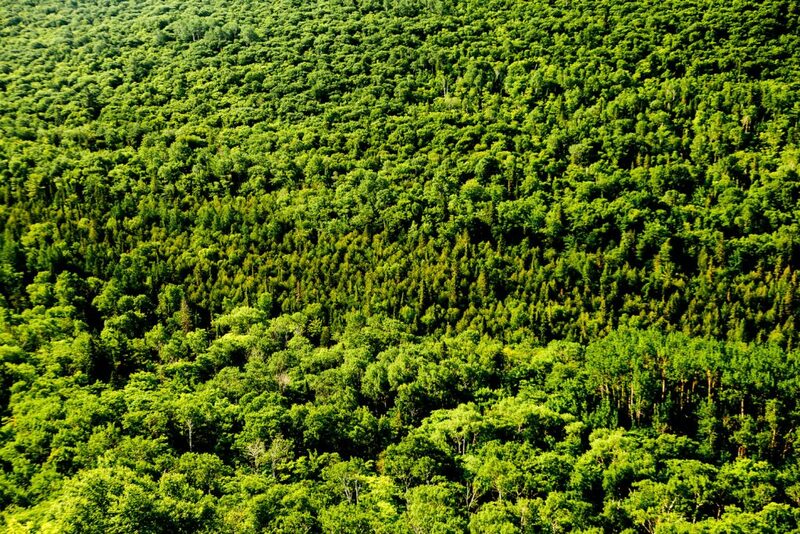 Keweenaw Peninsula is covered by big expanse of forest. So back to Copper Harbor. 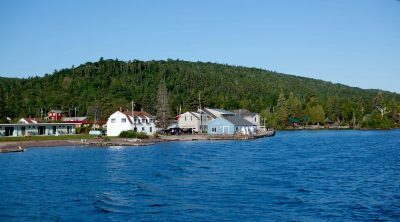 It is a town where one of the ferry services for Isle Royale National Park is located. Therefore, I always thought that if you are heading to Copper Harbor, it is because your final destination is Isle Royale. 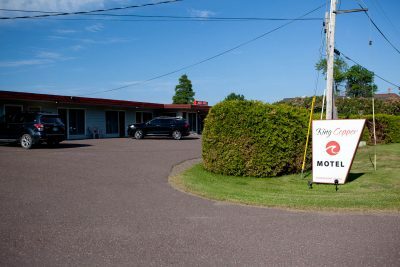 However, when walking around town I’ve noticed that there were way more motels and restaurants than you would expect to be needed to accommodate travelers to Isle Royale. When I asked around about it, I found out that Copper Harbor gets a lot of other visitors, mostly during the warm months of the year. There are many mountain biking trails in Keweenaw Peninsula, and there are even serious mountain biking races there. During race time, the local campgrounds and town are overrun with mountain bikers. Then there are those who are searching for solitude and uncrowded destinations and Copper Harbor is perfect for that. 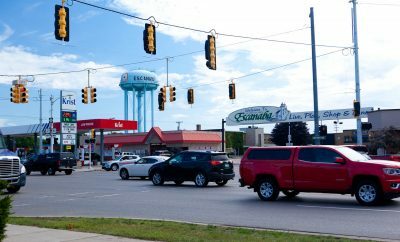 Located in fairly unpopulated area, away from major freeways, it is a charming, sleepy northern town. So, let’s get to local points-of-interest. Surprisingly, for a little town in the middle of nowhere, the local area is full of scenic attractions. I need to mention here, that the town is still a major gateway to Isle Royale. 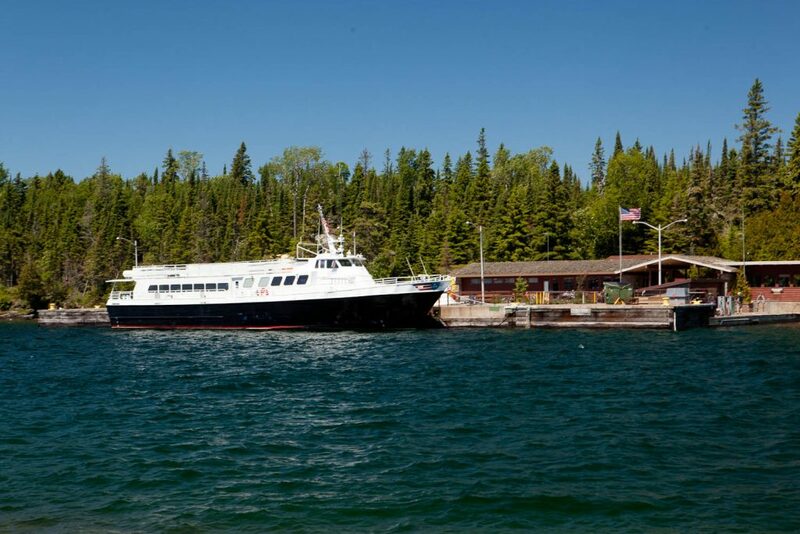 The Isle Royale Queen IV takes visitors from Copper Harbor to located 50 miles away island and national park. Isle Royale Queen IV docked in Rock Harbor, Isle Royale. As I mentioned above, Copper Harbor is also a destination for mountain bikers. 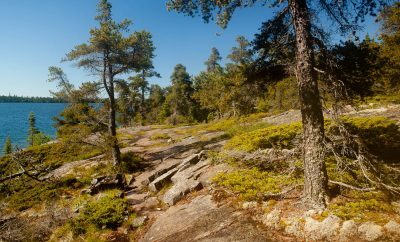 Copper Harbor Mountain Bike Trails are considered one of the top twenty in the world. They offer some of the most unique and challenging trails in the country. The trails system consists of 35 miles of single-track trails. 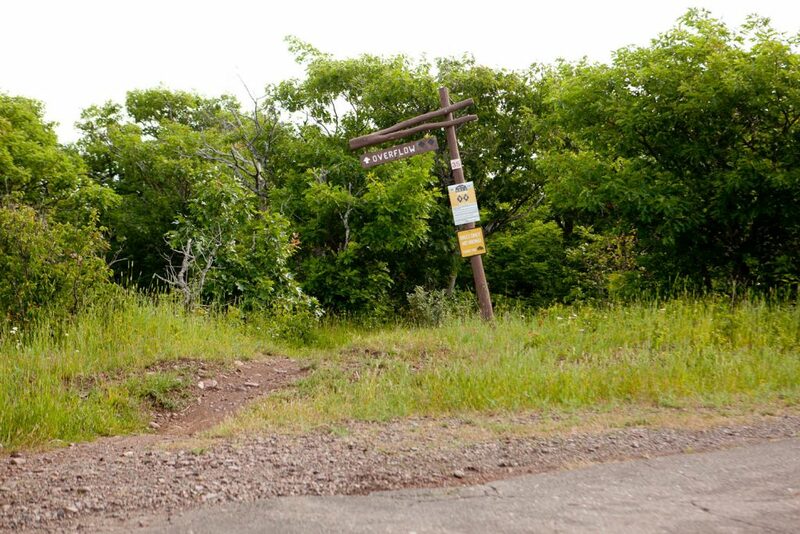 Mountain biking trail at the top of Brockway Mountain. Of course, with these and so many other great trails in the area, there has to be a place to rent bikes, if you do not bring your own. So, there is Keweenaw Adventure Company, located right in town. They offer not only mountain bike rental, but also kayaks – to explore the Lake Superior shoreline. The mountain is only few miles from town and it’s elevated 735 ft above it. 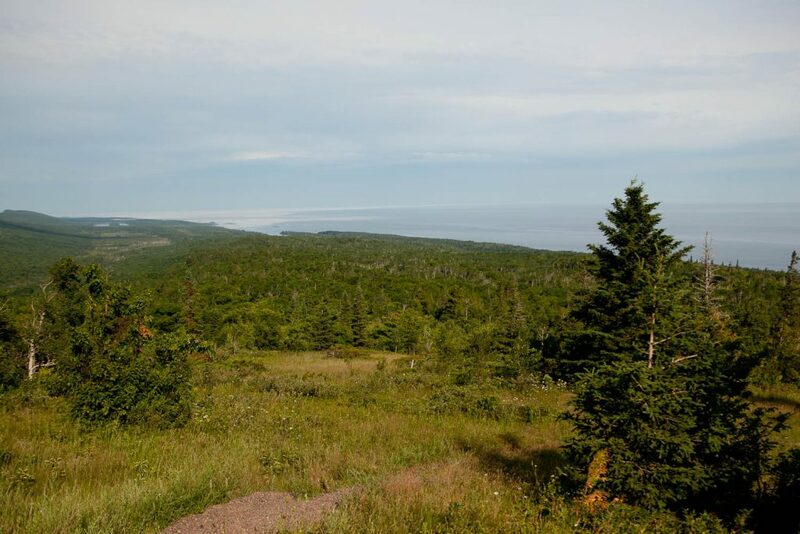 It provides beautiful views of Lake Superior and surrounding wooded expanse. It will give you a perspective of how much untouched nature is still available in Michigan. I would say, that living in Keweenaw Peninsula, especially in its northern tip, gets you to what living in Alaska would be while being still in Michigan… Wild, big, uninhabited stretches of wood covered land, rocky shoreline of wild Lake Superior, little, isolated towns… It all reminds me of the many Alaska reality shows. Well, let’s get back to the Brockway Mountain. You do not have to climb it. There is a comfortable, paved road leading to the top of it. Supposedly, on a clear day, you can see Isle Royale 50 miles away! The mountain top would be a great place to catch a sunrise or a sunset. 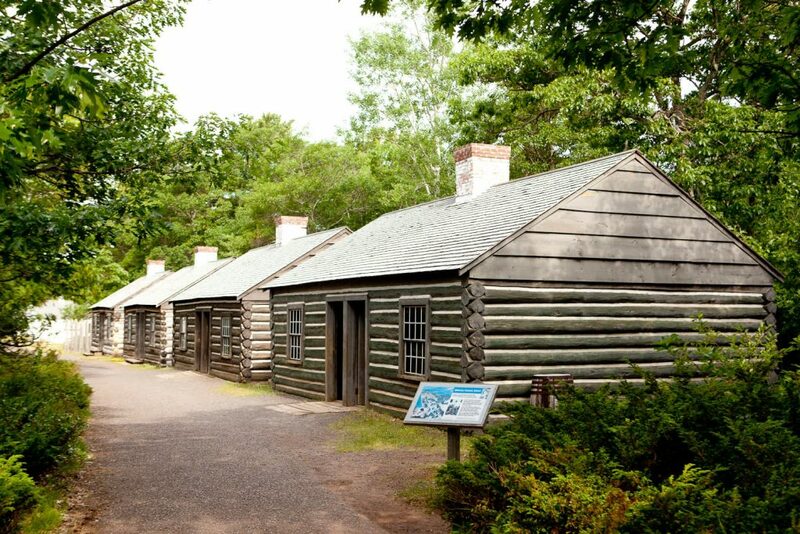 The park is a living museum with fully reconstructed 1844 military outpost, trails, picnic area, playground and camping. In my opinion, it can only rival the Fayette State Park also in the Upper Peninsula, but on its Lake Michigan shoreline. Fort Wilkins is open from mid-May till mid-October. 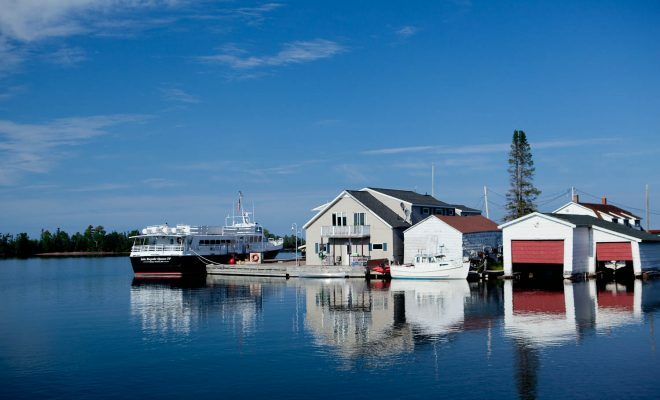 While in Copper Harbor, you can take advantage that the Isle Royale ferry docks there, and go for on a sunset cruise. The cruise is offered from July 4 through Labor Day (so till early September), 4 days a week, Tuesday, Wednesday, Thursday and Saturday. It lasts 90 minutes. The ferry sails outside the harbor and along Keweenaw Peninsula. You would think that with the record amount of snow that Keweenaw Peninsula gets, towns, like Copper Harbor, are inaccessible in winter. However, while sipping beer in the only micro-brewery in town – Brickside Brewery I met a local couple. They moved to the area from Lansing, Michigan. When I brought up the subject of winter driving in the peninsula, they assured me that snow removal service up there is excellent, and roads are in better shape in the winter than down in the southern lower peninsula. Therefore, if you are a snow enthusiast, you should visit Keweenaw, Copper Harbor and nearby Mount Bohemia for some downhill skiing. Mount Bohemia is 14 miles from Copper Harbor. It has 900-foot vertical drop and 94 ski runs. It claims to have the longest runs with the highest vertical elevation in the Midwest. Oh, and did I mention that the average annual snowfall in Keweenaw Peninsula is 273 inches! The mine is one, of many, left from the time when number of them were in operation in Keweenaw Peninsula, extracting copper out of the ground. The Delaware Mine operated from 1847 to 1887. The self-guided tours are offered 7 day a week from mid-May till mid-October. The current admission price (2018) is $11 for adults and $7 for kids. More info is available on their website. 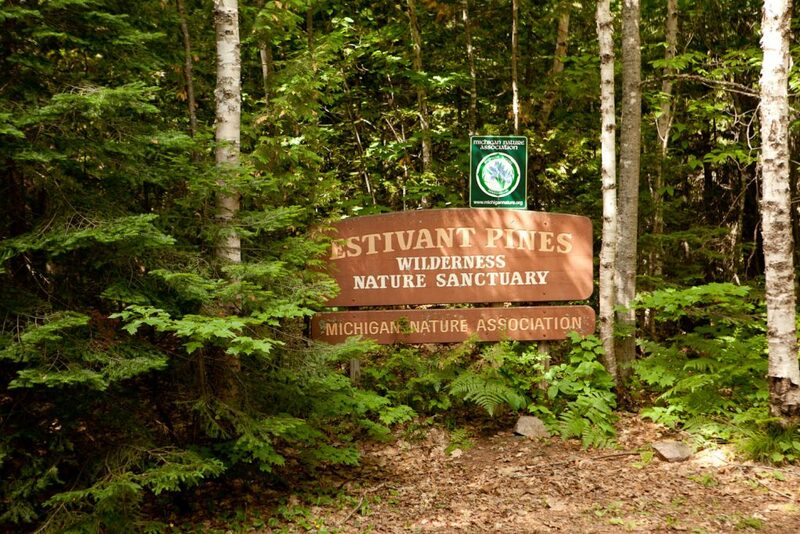 The sanctuary is the home of the oldest growth of virgin pine forest in Michigan. There are many pines there that are over 100 feet tall and 200 years old. It is close to town, and worth going there for a hike, if you are a nature lover. Besides the breathtaking, rugged shoreline of Lake Superior, the area has many inland lakes that offer incredible scenery to the water enthusiast. Within few miles of Copper Harbor, you have Lake Fanny Hooe, Lake Manganese, Lake Medora, Lac La Belle, Schlatter’s Lake and Lake Bailey. You can bring your own vessel to enjoy paddling in the area, or, as I have mentioned before, you can rent kayaks at Keweenaw Adventure Company in Copper Harbor. 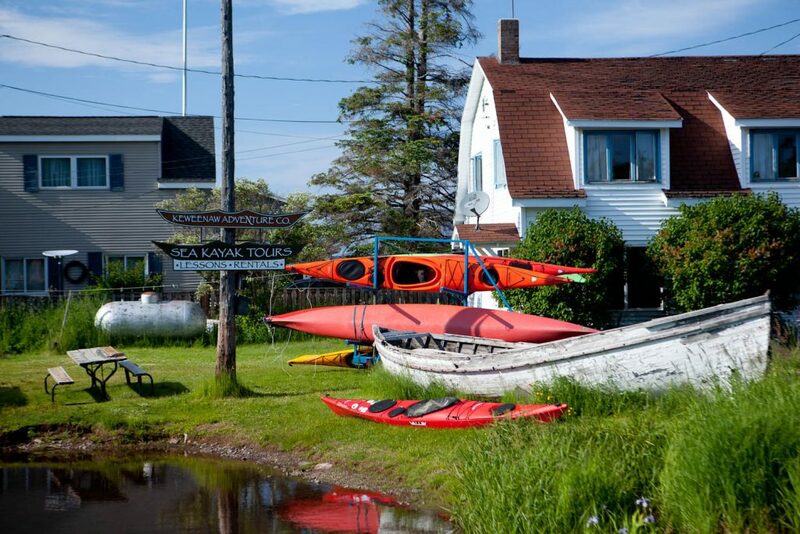 Keweenaw Adventure Company kayak rental. While the list is quite extensive for such a small town in the middle of nowhere, it is not complete. This is the U.P., so you can also enjoy other activities like fishing, hunting, bird watching, cross-country skiing, snowshoeing, snowmobiling, and many other outdoor forms of recreation. 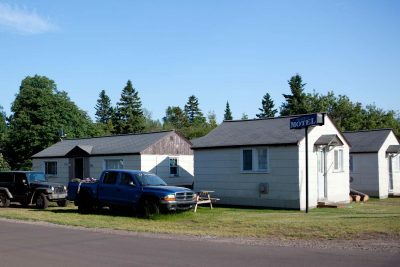 Copper Harbor, for a little, remote town in Keweenaw Peninsula, has surprisingly numerous places to stay available to travelers. From basic accommodations to fancy b&b’s, cabins and campgrounds, you find it all in the area. 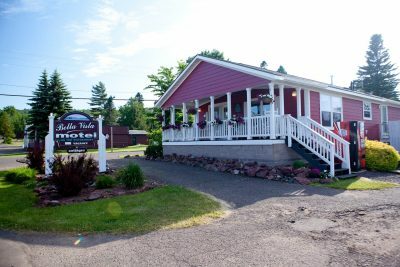 Out of all these, I stayed at Bella Vista Motel briefly, while on my journey to Isle Royale. The motel is your typical basic motel in the U.P., a little dated, but kept in pretty good shape, with basic amenities and also pretty clean. In the morning you can start you day slowly with a free coffee enjoyed on its front porch. I would recommend the place if you need a basic overnight accommodation. Brickside Brewery – the only brewery in town. No food offered. Harbor Haus Restaurant – upscale eating. The Pines Restaurant – a family style restaurant. 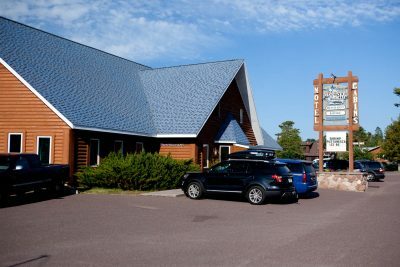 The only places that I had a chance to visit during my brief stay in Copper Harbor were Brickside Brewery and Harbor Haus Restaurant. The brewery had number of beers on tap and I think everybody would find something there to their liking. I like the atmosphere there, as there were mostly locals when I was there (end of June). I spent a while there and enjoyed few interesting and insightful conversations. 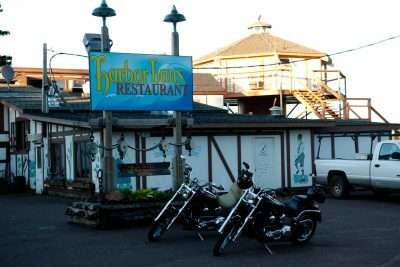 As far as dinning experience, I had a chance to eat at Harbor Haus and was really pleasantly surprised by their excellent location, with breathtaking views of Lake Superior, their very nice and attentive staff, and excellent food. 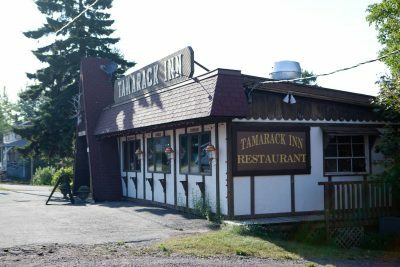 While a little more expensive than average restaurant in the U.P., I would highly recommend it as a place for dinner while you visiting Copper Harbor. You will not regret it! 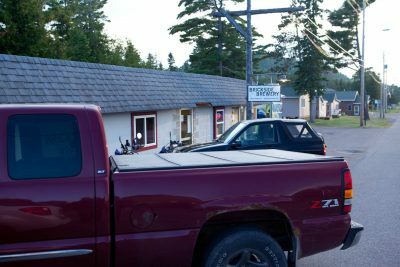 For a little town, in the out of the way area, Copper Harbor has a lot more to offer to a visiting tourist, than I would have had expected. When you look at the list of attraction, it is mostly for an active outdoor enthusiast. If you like to experience a northern, not terribly overrun by tourists (most of the time) town that provides incredible views of the rugged Lake Superior – Copper Harbor is the place! I’m, personally, looking forward to my next, hopefully, little longer visit! 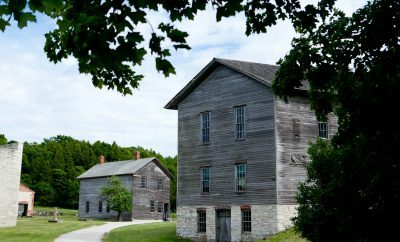 ← Previous Story Should Escanaba Be On Your List of Places to Visit in U.P. ?